A land of 200 dialects and natures treasures. Ethiopia is for those who love to immerse with unknown cultures and explore magnificent landscapes of the Great Rift Valley. takes you to raw, remote, unknown Africa on a journey perfect for photographers. 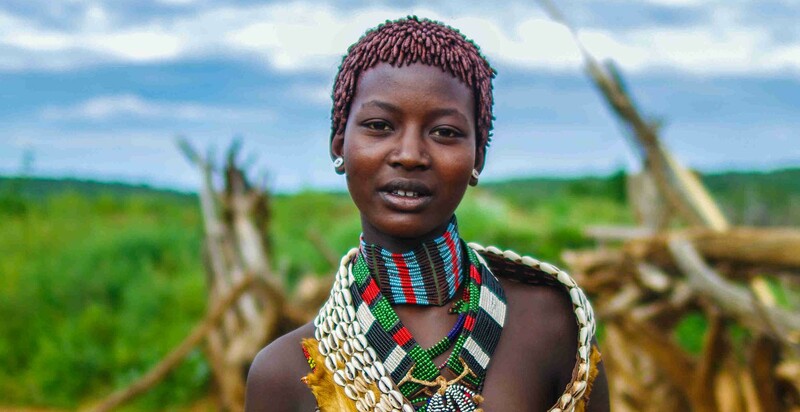 A fascinating insider’s guide to the remote Southern Omo tribes in Ethiopia. Learn about cultures and symbolisms of indigenous people fiercely proud of their roots. Steeped in tradition passed down from ancestors. Beliefs rooted in myth and legend. We can even curate an Ethiopian Odyssey with spectacular landscapes and history. Explore the verdant Simien Mountains, its wonderful birdlife and endemic wildlife, walk through medieval castles of Gondar, the ancient empire of Axum, see the rock-hewn churches of Lalibela. Your travels across this intriguing African landscape will be hosted and escorted by a professional English-speaking guide.